This one's not going to take long. 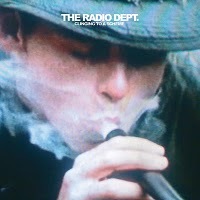 Though a hair better overall, my sense of Clinging to a Scheme, the latest release from Swedish shoegaze outfit The Radio Dept., is near identical to my impressions of Broken Bell's debut (minus the Dangermouse digs) - gorgeous, compelling sound, solid bookends...and far too many meandering tracks scattered about the album's middle. The highlight, without question, is the one-two-three opening run of the gentle Domestic Scene , minor youth anthem Heaven's On Fire , and the Charlatan UK-ish, Madchestery This Time Around . Up to this point, one really feels the band is onto something. But after that, though still very pretty in feel (leading to the album's above average intangibles score), things really trough out. No other song makes much of an impression until album closer You Stopped Making Sense . There hasn't been nearly as many C86/shoegaze/dream pop-styled releases this year, so if this is your genre and you need a fix, definitely give Clinging To A Scheme a try. But for most, I just don't think it's a strong enough front-to-back effort to warrant a full purchase, and with such obvious standout tracks, I'd suggest cherry picking Heaven's On Fire and one or two other songs and calling it a day. Cherry Picker's Best Bets: Domestic Scene , Heaven's On Fire , This Time Around , You Stopped Making Sense . Here's a fan video for Clinging To A Scheme's best song Heaven's On Fire . Portland, Oregon-based ambient/electronica artist Matthew Cooper's fifth full-length offering as Eluvium finds him introducing both drums and vocals for the very first time. Despite these additions, and unlike 2007's stunning Copia, which imbued its ambient exercises with a expansive, classical sheen, Similes has a more intimate,smaller scale feel than Eluvium's past efforts. Starting with shorter, relatively focused numbers (almost pop songs), it gradually unravels into increasingly abstract exercises in raw existence, capped by the meditative, soul-stirring Cease To Know, the finest single ambient track I've heard in many a year. Cooper's vocals, sung in a warm, soft monotone, reflect Another Green World Eno, minus the humor, and while hardly a compelling presence in their own right, blend well with the music. Overall, Similes didn't excite me nearly as much as Copia, but there remains much beauty here, and Cease To Know alone, with its steady, mind-erasing flow, makes it worth the price of admission. Cherry Picker's Best Bets: The Motion Makes Me Last , Weird Creatures , Making Up Minds , Cease To Know . Here's a fan video for The Motion Makes Me Last which does a nice job conveying the dreamlike quality of this album's music. 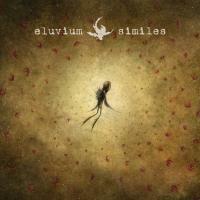 What are your thoughts on Eluvium's Similes? Let readers know with a comment. 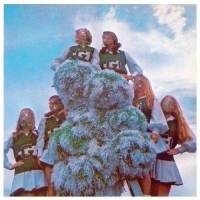 The most fascinating thing about Sleigh Bells' groundbreaking 2010 debut Treats (aside from its high-octane, noise-fueled bravado), is that it wasn't made by someone else fifteen years earlier. All of its contextual elements...the breathy, beachy, sugary girl-group vocals, the heavy metal riffage, the sledgehammer industrial clatter...have been in play since the advent of Nine Inch Nails/Ministry/Throbbing Gristle. But credit must be given to songwriter/guitarist Alex Miller and vocalist Alexis Krauss for having the vision to combine these elements in a truly unique way for the very first time. Coming on harder than a Mike-Tyson-before-Buster-Douglas roundhouse, Treats is all volume, all peak crescendo, all sonic abuse almost all of the time. Songwriting and melody take a definite back seat, but the album's energy and blitzkrieg pacing and Krauss's cooing vocals are so infectious, it hardly matters. Once Treats gets revved up (which by my count takes all of three seconds into opener Tell 'Em), it's a near impossible album to resist for anyone who likes their pop with more than just a dash of adrenaline. Structurally, the album is divided into thirds, opening and closing with rapid fire four song stretches that highlight the act at their most aggressive, and then pausing briefly in the middle for a calmer, moodier three song stretch that starts with the oddly beautiful electro-tinged Run The Heart, and concludes with pop song of the year runner-up Rill Rill, which re-purposes an old Funkadelic groove to glorious effect. So if your in the mood for something balls-out noisy, but also exhilarating, fun and utterly new, I'd give Treats a serious, serious listen. It's not quite the best album of the 2010, but it very well may be the most original. Cherry Picker's Best Bets: Tell 'Em , Run The Heart , Rill Rill , Crown On The Ground . Here's the official video for Infinity Guitars. What are your thoughts on Sleigh Bells Treats? Let readers know. Let's face it, the last decade has brought us tons of great music, but in this era of synthesis, outside of some movements in electronica and dubstep, and maybe some of Animal Collective's more "out-there" efforts, very little of that music has been shockingly original. That said, I still can't think of a contemporary act that forces the listener to make the choice between competence and originality more completely than New Jersey's The Gaslight Anthem. As pure a 50/50 mix of two past acts as you will find, The Gaslight Anthem enthusiastically combines Bruce Springsteen's vibe and earnest, soulful blue collar hero worship with the early Replacements harder-rocking, punkier musical charge. The 50/05 split applies to the vocals as well, with leader Brian Fallon conveying Springsteen's emotive warmth and Paul Westerberg's gravelly snarl in equal measure. And as presented on this album, their best to date, it's a mix they've clearly mastered. At every moment the instrumental turns are sharp, the vocals crisp and effective, the band proving themselves fully capable of delivering all of the twists common to this genre with skill, soul, and aplomb...and yet, it's all so freaking derivative, not a single moment on this album feels like their own. Despite the familiar sound, the problem isn't with the music. This album rocks. But the lyrics, oh boy. Unlike other contemporary waders in the E-Street pool like The Hold Steady or Titus Andronicus, acts fronted by top-tier lyricists who will mine Springsteen's work for sound but thematically are off exploring worlds and styles of delivery utterly unique to themselves, Fallon's lyrics couldn't be more paint-by-the-numbers. His tales of old haunts, romance, and youthful nights on the streets mirror Springsteen's so fully in their telling that they come to feel as disassociated from personal experience as Leonard Cohen's Hallelujah does springing from the mouths of all those pre-pubescent contestants on American Idol. As such, the whole album, no matter how well-constructed the music, ends up feeling like an exercise in mimicry rather than self-expression. Still, the music is often enough, particularly on the Wild Nights-flavored The Diamond Church Street Choir, which is so wonderfully arranged and executed, one must surrender to it wholesale, lyrics be damned. In the end, I think how much music you listen to will play a big part on how much you like American Slang. If you are an infrequent purchaser of music, or gravitate towards old-fashioned, 70s/80s-flavored mainstream rock, this could be one of your favorite albums of the year. But if you're a voracious listener, well versed in the works of Springsteen, The Replacements and the younger indie acts I mentioned above, and someone who holds originality in high regard, I think you will often find the derivative nature of this music hard to stomach. I'm giving it a mild recommend overall. Musically, it's an easy solid, but as I have repeatedly said, those lyrics...oh boy. Here's hoping these talented Jersey gents chose to explore a mythology of their own making the next time out. Cherry Picker's Best Bets: Stay Lucky , Bring It On , The Diamond Church Street Choir , The Queen Of Lower Chelsea . Here's the official video for the title track, American Slang. 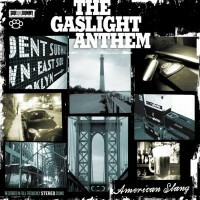 What are your thoughts on The Gaslight Anthem's American Slang? Let readers know with a comment. Compared to the rest of blog-o-sphere, I'm six months late reviewing this gargantuan, so let's just skip the details for a moment and get right to the hyperbolic superlatives. 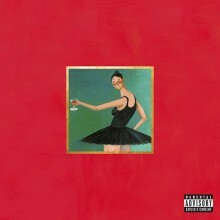 You may hate him, you may despise his childish, petulant, boorish, egomaniacal public behavior and sometimes deplorable twitter posts, but make no mistake, Kanye West's My Beautiful Dark Twisted Fantasy is one of the greatest rap albums of all time, an impossibly huge sounding, contradictory, emotionally naked, game-changing beast that boasts some of the most inventive high-gloss rap beats ever dropped, and in its omnivorous hunger to incorporate so many musical influences worldly and/or white, portends to a historic sea change in the direction of African-American music. "Keeping it real" will never have quite the same cache in the world of rap again. And as much as it kills me to bump The National's flawlessly executed High Violet from the top spot for 2010, I have to do it. . I love both albums to death, but picking High Violet over My Beautiful Dark Twisted Fantasy is akin to picking Earnest Borgnine's Marty over The Godfather for best picture....both are wonderful, but one is so much more. From the opening minute of lead track Dark Fantasy, with its Disneyesque, Nicky Minaj, faux-brit intro that leads into the grand, choral importuning of "Can we get much higher?" and then Kanye's first rap, all of the album's qualities become clear. First, My Beautiful Dark Twisted Fantasy is going for maximum impact one-hundred percent of the time. Many quieter, more reflective moments will follow, both nothing here will play small. Second, guest appearances will play a huge role. The record's list of collaborating artists is endless, and yet, Kanye manages to weave them into the whole as well as on any rap album I've ever heard, while still granting these contributing artists not just a chance to shine, but definitive star-making turns (Nicky Minaj's rap to close Monster is quite simply for the ages, and after this album, I doubt there's a black man in American who doesn't now know who Justin Vernon is). Third, if the album does have a flaw, it's that the beats are so gigantic and so adventurous the raps are sometimes overwhelmed by the album's sheer musicality. Even though this is easily Kanye's best vocal performance to date, the record does occassionally feel out of balance. The is particularly the case on Dark Fantasy, where Kanye's verses are no match for that surging chorus. Finally, it quickly becomes apparent Kanye is audacious enough to believe he can lay claim to Michael Jackson's throne as the "King of Pop" and forever certify his "street cred" at the same time. This is simultaneously Kanye's poppiest and crudest release to date, moments of vivacious, teeny-bopper pleasing joy, followed by a Chris Rock monologue on a girlfriend's improved vaginal technique that no parent in their right mind would ever let their children hear. Like I said, the album has it's contradictions. Some will inevitably be put off by the vulgarity and the "Trumpian" levels of egotism, but what emerges over the album's narrative, interestingly enough, is more-or-less a contemporary hip-hop take on Amadeus, only told from the perspective of what it's like to be the immature, emotionally stunted but preternaturally talented Mozart instead of the knowing but limited, envious Salieri. For over seventy minutes, Kanye raps all about Kanye, all of the time. But I didn't mind, for unlike most rappers, Kanye is willing to drop the genre's traditional braggadocio and open up to moments of profound naked vulnerability, as on Runaway, where he admits his fears that his muse-driven personality, over which he feels no control, is leading him down the path of an empty, loveless life. But despite these admissions, in the end it's in the music...those glorious, inventive, genre-mashing, hyper-produced beats...where My Beautiful Dark Twisted Fantasy's greatness is most fully revealed. From Power's undeniable tribal chant to All Of The Lights' sledgehammer clubland attack, Runaway's plaintive Elton John single-note piano solo calling Kanye away from a life of emotional connection to the breathtakingly romantic blues guitar that kicks in at the 2:50 mark of Devil In A Blue Dress, the album is an unrelenting onslaught of career-defining peak moments, concluding with a two song sequence (Lost In The World and Who Will Survive In America) so prescient and staggering, I'm holding off commenting on it till I add it to the my Favorite Tracks of 2010 page. And on and on and on it goes with My Beautiful Dark Twisted Fantasy. South Park had their fun with Kanye and his "genius complex," but here, he backs it up every step of the way. There's still more I could say, but unfortunately, I've run out of complimentary adjectives. So let's just leave things at I kinda liked it, and in the odd chance that you haven't already heard My Beautiful Dark Twisted Fantasy, I'll let you discover the rest. Cherry Picker's Best Bets: Power , Monster , Runaway , Lost In The World /Who Will Survive In America . Here's the abbreviated official video for Power, which gives a good indication of the level of humility on display throughout My Beautiful Dark Twisted Fantasy. What are your thoughts on My Beautiful Dark Twisted Fantasy? Let readers know with a comment. One of the most unique artists on the contemporary scene, but also one of the most divisive, folk-harpist Joanna Newsom provokes a strong reaction in most who hear her music. For fans, her very long, very feminine, very organic songs...dominated by her agile harp playing, flowing, intimate lyrics, and (a cliche to call it this at this point, but still dead-on accurate) odd, elfin voice...offer a slice of heaven, a gentle, estrogen-laden oasis in a music world overrun by testosterone-fueled thunder. For detractors...or anyone who requires a touch of adrenaline in what they listen to...a duller, more self-indulgent, more insufferable artist does not exist. I'm only half-joking when I say there is level of hell reserved for deceased skateboard punks and death-metal-loving skinheads where Newsom's music is played non-stop. Have One On Me, Newsom's latest offering, an epic, three-disc, eighteen-song, two-hour plus offering of extended personal, often inscrutible explorations, will only heighten this division, giving both camps an abundance of material upon which to stake their case. I however, find myself oddly on the fence. On the plus side, Have One On Me is gorgeous, disarmingly personal, full of subtle instrumental intricacies, and while her voice has always been an acquired taste, Newsom has never sung better. But Have One On Me is also one of the most static recordings in recent memory, constantly evolving, but almost never dynamic, content to just wade there in its shimmering pond of little beauties. Portions of it left me bored to the point of exasperation, and given its extreme run time, I sometimes felt I Know I'm Asking Too Much Of You, Dear Listener would have been just as legitimate a title. I wouldn't harp quite so much if the static moments were the album's best, but they aren't. Every truly great moment on this album comes in those rare instances when Newsom breaks from the statis...the vocal explosion that concludes title track Have One On Me, the menacing guitar stabs that end Baby Birch, and the joyous "Joni Mitchell-at-her-finest" jaunt that permeates every second of the album's one true masterpiece, the extraordinary Good Intentions Paving Company. So a definitively neutral Solid Recommend from me on this expansive and original but at times flat offering. I feel her fans and critics are right in equal measure, and newcomers to Newsom, you'll only need to sample a few tracks on the widget below to guage on which side of the fence you stand. Cherry Pickers Best Bets: Have One On Me , Good Intentions Paving Company , Baby Birch , Go Long , Does Not Suffice . Here's a fan video set to the album's classic track, Good Intentions Paving Company. Intangibles - Depends on which camp you are in, but for me average to slightly high. 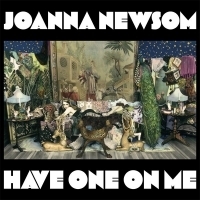 What are your thoughts on Joanna Newsom's Have One On Me? Let readers know with a comment. Okay, let me confess up front that I'm not crazy wild for any of the lo-fi surf punk acts that came into indie prominence in 2010. Best Coast, Surfer Blood, Fang Island, Wavves, they all produced some fine songs...but none of them blew me away with their full length LPs. That said, of the bunch, I probably like this ragged sophomore release from Nathan Williams, aka Wavves, the best. He's by far the most limited vocalist of the lot (despite possessing a classic punk whine), and the melodies here aren't nearly as strong as on Astro Coast or Crazy For You, but in their stead stands far greater instrumental muscle (Williams was backed on this effort by former Reatards Billy Hayes and Stephen Pope), and a far more eclectic and adventurous range of material. Recording in a bona fide studio for the first time in his young career, Williams takes a stab at nearly every indie "style-du-jour":...a touch of chillwave on Baseball Cards, oddball twee pop on Convertible Balloon, a power-punk ballad with the excellent Green Eyes, and Beach Boy-tinged harmonies on the dense Mickey Mouse (a track that would have felt right at home on Animal Collective's Merriweather Post Pavillion ). But despite the success of some of these left field ventures and the nice variety they add, the album still works best when Williams does what he does best...delivering grungy, disaffected, dope-obsessed, quasi-tuneless, surf-punk anthems. Taking on an almost Nirvana-esque feel at times, powered by explosive guitars and bionic drum fills, hard hitting tracks like King Of The Beach, Idiot, and Post Acid are the definite highlights here. So if you're in the mood for some decent, high energy, snot-nosed slacker pop, come on down to the shoreline, pay your homage, and give Wavves' King Of The Beach a try. Cherry Picker's Best Bets: King Of The Beach , Idiot , Post Acid , Green Eyes . Here's the official video for the title track. 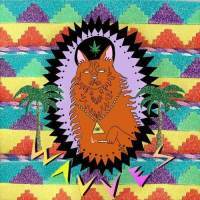 What are your thoughts on Wavves' King Of The Beach? Let readers know!